After you’ve built a basic house in Minecraft, it’s time to start creating a much bigger, more stable and protected base. The base should be the main attraction in your survival world. It should be strong, big, easy to repair, mob resistant, useful, and, most importantly, good looking. If the base just got exploded by a creeper, you fix the base with the blocks you have, hurry to collect the blocks you need in order to repair it, and repair it quickly before mobs come in. Now that you know of an example of how a base works, it is time to get you to Thomas’s real estate and car dealership (patent pending). Let’s see what is the right house for you. How about an ordinary base — a simple house on a flattened-out area, easy to build, but you will have a hard time defending your base. The basement acts like a warehouse, whereas the roof acts as your garden. Or maybe you decide that’s not the best house for you. Perhaps you should try a fancy air base. It can be expanded almost infinitely. Sadly, it has no basement, but you can definitely enjoy the view from the balcony! Because of how high up it is, you will have no trouble from mobs as long as you keep the base well lit. Good luck getting up to that base, though. Hmm, maybe that’s not the best base for you either. 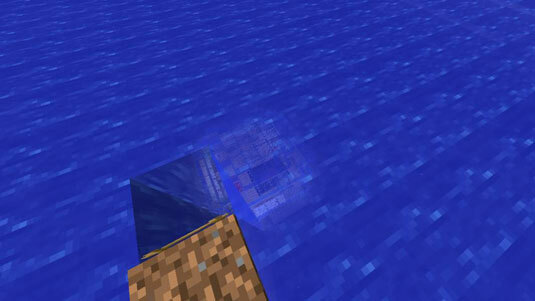 How about the exotic underwater house — no mobs, no problem. If you’re looking at building a base like this one, do not build the base anywhere close to a water monument! This base looks cool with a glass ceiling. It has plenty of room for underground expansion. When the zombie apocalypse attacks in Minecraft, they can only float above the base. Just make sure the base is lit to avoid coming back and finding a creeper inside! When it comes down to it, there are many more bases out there, like a base in the side of a mountain, or a man-cave base, or just about anything your mind can imagine! As you can see, the whole decision of how you design the base is up to you.